Did that just say "In a Nutshell Part 1"? Why yes, yes it did. Humor me. There will be only 2 In a Nutshell posts. We had a busy week. Hubby had the week off and we took full advantage of the fact. So there is lots of stuff to report. We went to a water park. We saw out of town friends. We welcomed family. We went hiking. One of the reasons we were excited to move where we did was because it is way closer to some awesome places for outdoor adventures. 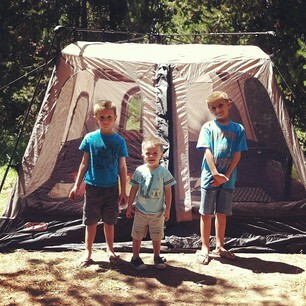 I was excited to give my boys some camping experience. It was debated as to how much of a camper I could be. Last year between just moving here and the fact that I was pregnant and sick, we did not really go visit anywhere. 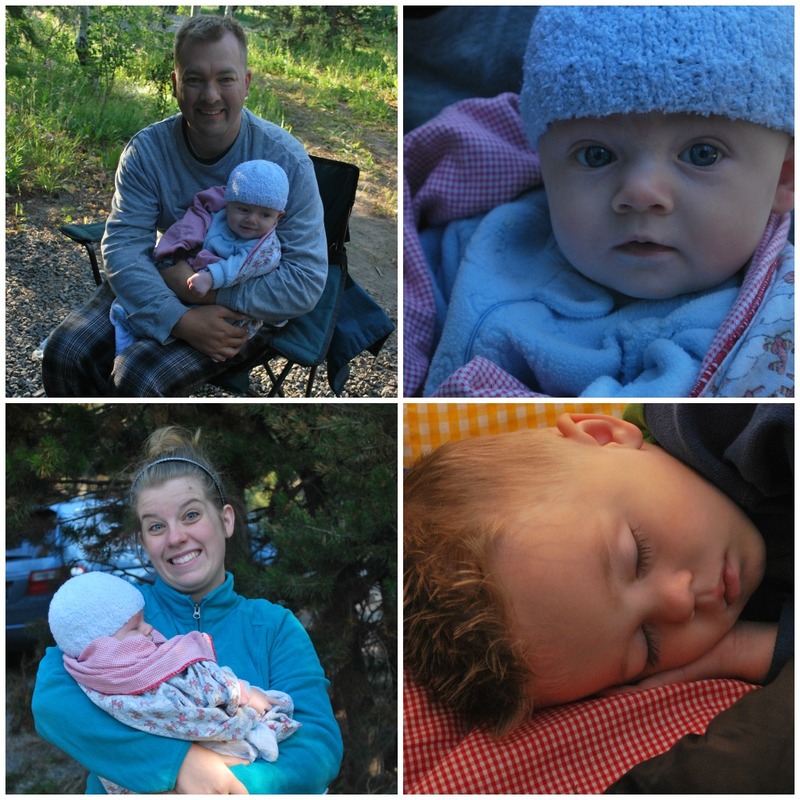 A year later, some planning, and a brave decision to camp with a four month old, we headed out for a simple over night camping trip. I think I proved I could cam! There was quite a lot of excitement. Some of us were a little unsure of the great outdoors. He got over it and ended up quite enjoying himself. 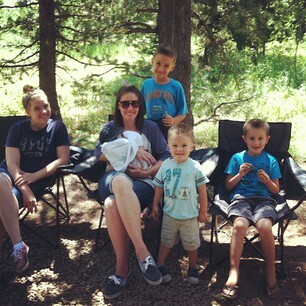 We shared out camping with Aunt K. It was nice to have an extra set of hands. 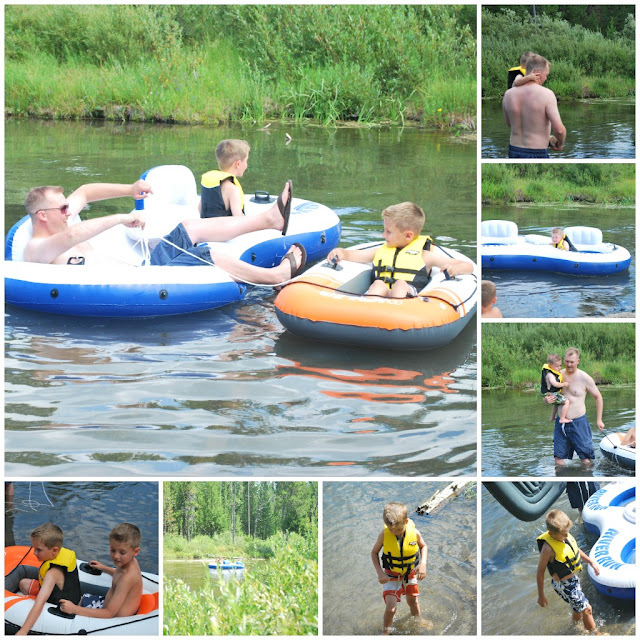 One of the highlights of the trip was a lazy and leisurely float down the river at the camp grounds. Little was excited at first. Then he actually got into the boat. His excitement quickly faded and he decided being in a little boat was not for him. 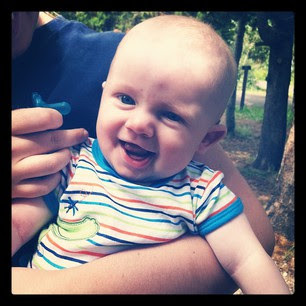 So he hung around at the camp ground with me, Bean, and Aunt K.
The river float was slow and easy. The boys loved it. About an hour later I drove down and picked them up at our meeting point. They were all a buzz about their river float. 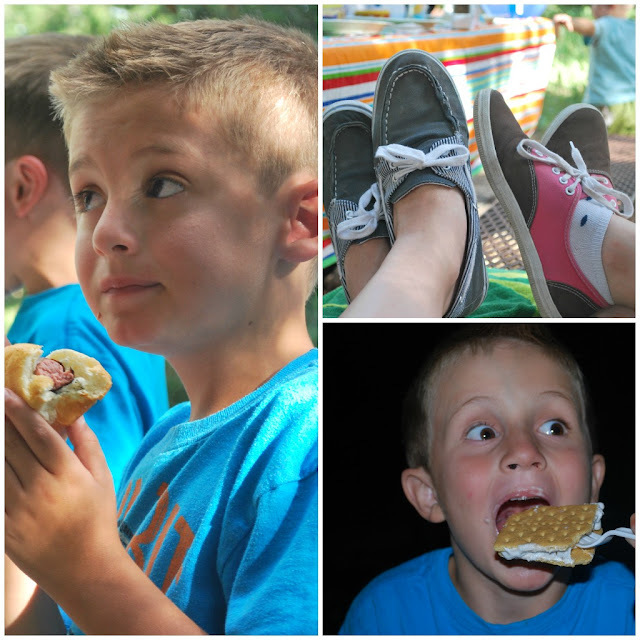 Camping brought out the sillies and the hungries. Does camping make anyone unbelievable hungry?? We had hot dogs and foil dinners...not to mention some extra tasty food that may or may not fall into the junk food category. Shhh don't tell. Hubby and I were worried about nighttime. Overall, everything went better then expected. Bean slept well once he got all snuggled up with me. The deflating air mattress only put a slight cramp in my style. Little had the roughest night. He was up quite often. Which is why when everyone else was up with crack of dawn he kept sleeping. Everyone woke up happy. These two were back in silly mode by the sunrise. Yup, we had a good camping trip. We are a pretty lovely group of happy campers. Looked like you had a wonderful time! Great pictures - and great memories for everyone!